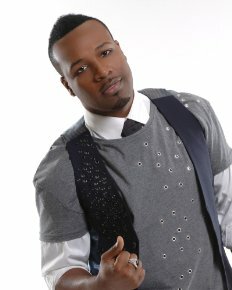 Call A to Z Entertainment, Inc. today for free information about how to hire or book gospel singer VaShawn Mitchell. We are your best booking agent and top talent agency for hiring VaShawn Mitchell! We book or help you hire any live professional entertainment you want, to include – Gospel musicians, Gospel singers, and Gospel groups. For nearly a decade he served as Minister of Music at Bishop, Larry D. Trotter’s, Sweet Holy Spirit Church, setting the musical tone both within the church walls and on the ministry’s top-selling recording projects. The youngest Minister of Music in that church’s history, he successfully merged the contemporary themes he composed with the traditional choir vibe that marked the church’s worship services. Throughout the years, VaShawn’s artistic vision has grown, shaping him into a mature worship leader and a recognized Gospel songwriter. His songs have been recorded by some of Gospel’s most celebrated artists, including Smokie Norful (“Just Can’t Stop”), Vanessa Bell Armstrong (“Help”), and Bishop Paul Morton (“Cry Your Last Tear”). With a passion for worship, the heart of an encourager and the story of a person who overcomes, VaShawn Mitchell is truly an artist for this age. We can help you book or hire any Gospel singers, musicians, or groups. We can provide you first-rate live entertainers of any type and we’re your best entertainment booking agent for hiring VaShawn Mitchell! Call 888-655-4575 today and we’ll be happy to help you. A to Z Entertainment, Inc. is not the exclusive agency for any artists on this site.